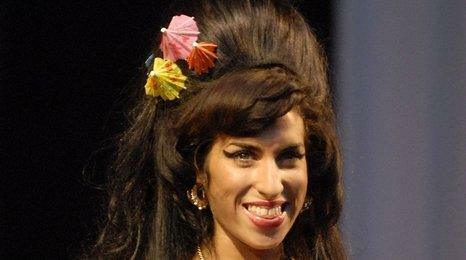 Amy Winehouse has joined Mark Ronson on stage for his first full gig with new band The Business International in London. 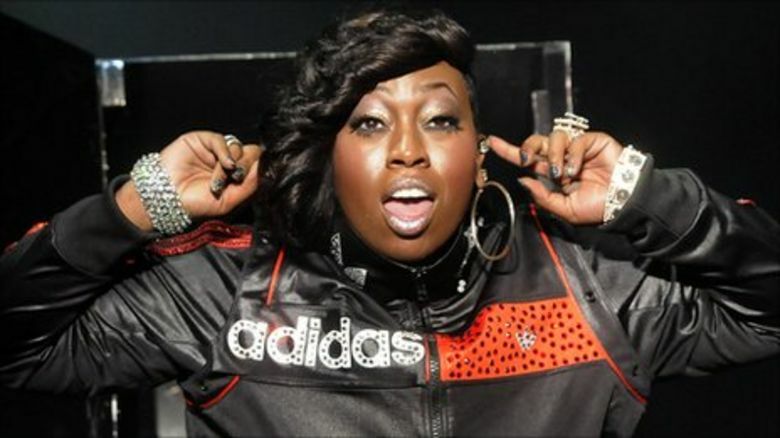 The 26-year-old sang the pair's 2007 hit Valerie as an encore - but forgot many of her words. Ronson was playing an intimate set at the 100 Club in front of an audience of invited guests and competition winners. Speaking from the stage Ronson said he was "nervous" about debuting his new material. 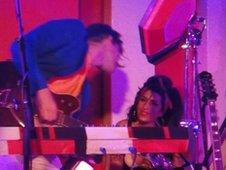 After playing tracks from his forthcoming new album, Ronson was joined by Winehouse for the second half of the gig. However, she only sang on the final number of the night. Earlier, wearing skinny cut off jeans and a black vest top, Winehouse tried to get the crowd to chant Ronson's name and looked annoyed when they failed to play along. Ronson was launching his third solo album, Record Collection, which is due for release in September. Issued under the name Mark Ronson And The Business International, the record features no covers, no brass and a raft of guests including Scissor Sisters' Jake Shears, Boy George and Q-Tip.